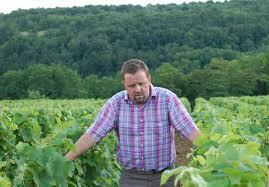 I recently saw a photo of Jerome Billard tilling between the vines at one of his vineyard parcels. His son (about 5 years old) was on his lap and it was obvious from the photo that Jerome was explaining things to his son. Domaine Billard Pere et Fils ( http://billardetfils.free.fr/index.html ) ... I read the name on the bottle of wine and thought that it must be another antique winery with a dusty history; filled with remarkable lineages and a family tradition built upon generations. I didn't realize that it was the story of a man tilling the fields with his 5-year old; starting a new lineage, a new tradition with the newest generation. 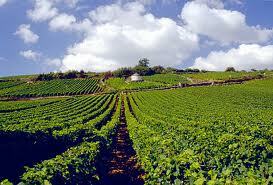 Jerome Billard came to purchase his property 15km south of Beaune in the village of Rochepot in 1999. With 17 HA to his name, Jerome had given himself a sizeable amount of work but passion and dedication (always key-words) gave him the energy to devote himself to creating a quality product. Principles of maximum intervention in the vineyard and minimum intervention in the winery were key to Jerome's early success, both with critics and the public. "Expressing the typicity of the terroir" is the way Jerome explains it. But what is Pommard, and thus, what is the terroir of Pommard? We can look at the statistics ( http://www.terroir-france.com/region/burgundy_pommard.htm ) and come to some conclusions, but the essence of terroir is about much more then stats. It's about the people who work the land as much as the land itself... it's about the spirit of a place as much as the composition of the soil. Pomard is the second largest producer in volume after Beaune, but it's a small place... just over 10 square km it's a blip on the radar, a bump in the road when one drives the infamous Route des Grands Crus. Yes, almost a forgettable town with its single bell tower, and vineyards bereft of Grand Cru status. And a dwindling population. Pomard's population has dropped by a third in the past 50 years and now is just barely over 500. But this is where Jerome Billard came to start a new life with his wife. This was where he envisioned building a home and future for his family. No Grand Cru vineyards here, 'tis true, but a plethora of Premier Cru that are respected worldwide again for their craftsmanship. And perhaps Pomard is a bit like Jerome. Pomard was once one of the darlings of Bourgogne (Burgundy) and renown for quality long before the AOC system came into being in 1935, and before it itself received AOC status in 1937. 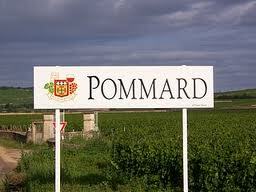 Pomard was an easy to remember name for non-French speakers and for the French it spoke of value. But then the people began to leave. A new generation moving to the meccas of Rouen, Lyons, Marseilles and an aging population; not a recipe for success. Slowly, consistently, the work of decades began to erode. Consumer confidence waned and greener pastures were sought... then a renewal! There is a brushfire of excitement about Pommard wines again and if men like the Billards have anything to do with it, the brushfire will soon become a tempest. Doubt me? The truth, as always, is in the glass my friends. 2010 Domaine Billard Pere et Fils, "Les Tavannes"
I can imagine my wife and I on one of those hilltops that overlook the village of Pommard... we would eat some of that rillettes and bread with a bottle of Jerome's wine and watch our daughter chase butterflies through the cherry trees. Of course, it's a dream right now... but then again, so was Jerome's vision not so long ago.